Framestore became a household name last year because of its CG work on Gravity. The visual effects company figured out the best way to make it look like someone was in space was by essentially animating 90 per cent of the movie and superimposing the faces of Sandra Bullock and George Clooney on top of their effects work. The result: an Oscar and and the company becoming known as the go-to place for visual innovation. While the effects at the time were both mind-blowing and ground-breaking, Mike McGee, Global Chief Creative Officer and co-Founder at Framestore, is already looking at ways to surpass this and the answer could lie in virtual reality and virtual resurrection. Speaking at OMD UK's Innovation Week, McGee explained that visual effects are getting to a point where CG is being used to not just to replace actors but bring to life those actors who are no longer with us. "There are actors today who are having their bodies scanned and future proofing their image. The ability to sell future image rights is happening right now," says McGee. "You can imagine, it's the next step." This isn't McGee future gazing, either - Framestore has got experience with this sort of thing. The company in 2013 created an advert that featured Audrey Hepburn - an actress who died some 22 years ago. 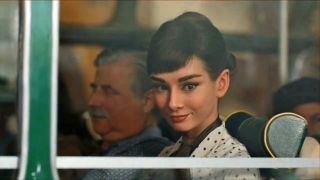 This wasn't done by comping together old footage of Hepburn but digitally recreating her looks. The results were impressive and yet another step away from the uncanny valley. "The obvious solution to get Audrey Hepburn in the advert would have been to take a good body double or lookalike and frame them and light them right but that didn't work for us, because of the angles," says McGee. "Instead we had two actresses that were similar body and face shapes [to Hepburn] and tracked their faces as a reference. We then took them into the capture studio and got them to pull 60 different character expressions, then went about sticking the CG head we had created on to the body of the actresses. "We were thinking of keeping the eyes of the actresses used but it ended up being a 100 per cent CGI head in the advertisement." Although this technique was used sparingly, it has mustered up interest in both filmmakers and actors alike. "Actors like George Clooney can now sell their future image rights when they are dead because of this technology," says McGee. If this is indeed the future, then where will it lead? McGee believes that, when matched with virtual reality, it could be used to create fully immersive experiences with your favourite long-gone actors. "You will see more and more digital humans in films. We have toyed with the idea that maybe one day you can sit down with a cup of tea with Audrey Hepburn. We could make her 'photo realistically' sit opposite you and answer questions in real time. "We are really excited about the future of where this tech could go." OMD UK's Innovation Week is on until Friday 6 November and features talks from Google, Microsoft and others.